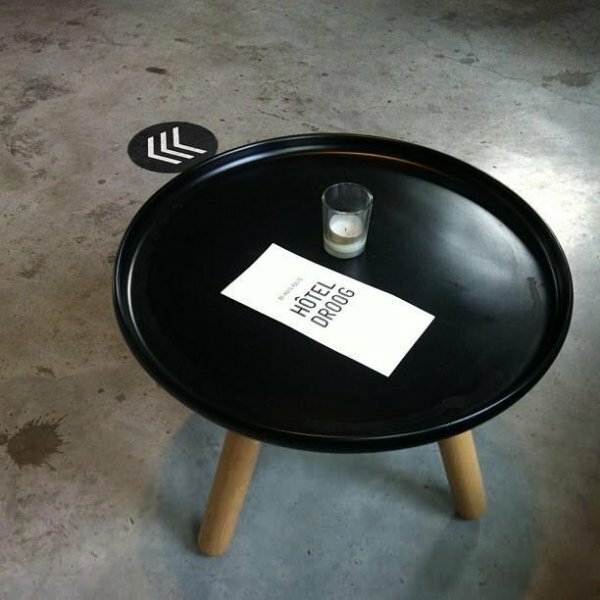 Danish Design at Droog... When posting the pictures of the Flip Around Table I had to think of this Instagram picture I made some time ago while having a coffee with a friend at Droog... Droog created a great ambience in the first small concept store. With an extra floor, the one room hotel and the caffee filled with a combination of design. The garden last time I visited made me think of Spazio Rosanna Orlandi with its instalations last year. I like the 'Tablo' table and I have been looking at it several times, thinking if it would fit my living. My living has a bit of both, white cabinets but I find it overall more industrial because of the concrete wall and the huge lamps.What do you think? I do know It would really fit my bedroom, having a whole white bedroom and using white bedlinen, it would be a perfect bedside table! 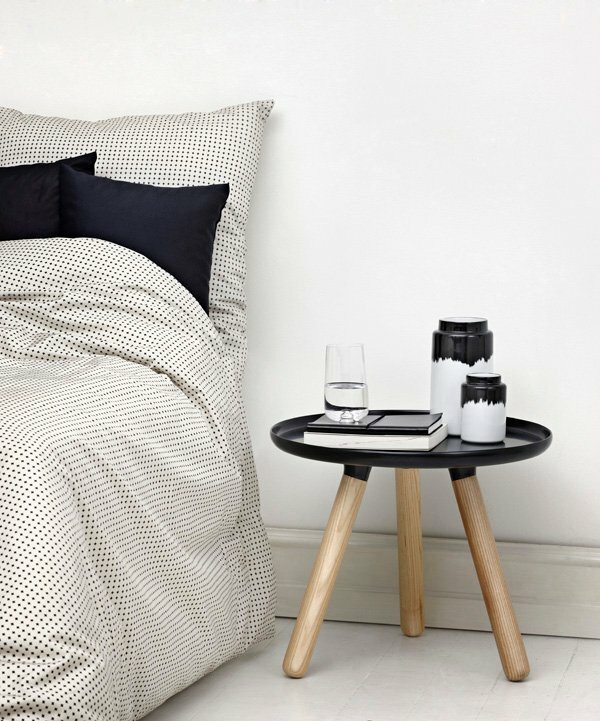 Check Mikkili for the Tablo tables in 5 different colors and this minimalistic bedlinen.